Arrive Ahmedabad and get greeted by our tour representative. Get assisted transfer to HOTEL and stay overnight. After having breakfast, visit the Calico Museum- primary textile museum of India, showcasing amazing artworks; Swaminarayan Temple- oldest temple of Swaminarayan and then proceed to Akshardham Temple (Gandhinagar)-a temple dedicated to Swaminarayan, with brilliant architecture spread over and area of 23 acres; and Adalaj Stepwell- a ‘water building’ (a five story well) dating back to the 15th century. By late evening get back to the hotel and stay overnight. Upon breakfast, you leave for Dasada and en route stopover in Modhera- mainly famous for ancient Sun Temple, dedicated to Hindu’s Sun God; and Patan- dotted with temples, mosques and other structures dating back to the era bygone.On arrival in Dasada, you check in at Rann Riders. In the afternoon, you depart in jeep for little Rann of Kutch. Rann of Kutch is a salt marsh located in the Thar Desert. This is the largest salt desert of the world. By late evening, you get back to the hotel and stay overnight. Drive to Bhuj is scheduled for today after breakfast. On the way, you proceed to collector office to get the permit license for visiting Banny Village (for foreigners). After visiting Bhuj’s attractions like Pragmahal Palace, Aina Mahal, Bhujio Hill and Hamirsar Lake, you check in to your HOTEL and stay overnight. Upon breakfast, drive to Rajkot. On the way, you halt in Morbi and Wankaner- both influenced and ornamented with European architecture and culture. By afternoon, you reach Rajkot and check in to your hotel. In a short while, you proceed for the sightseeing tour, which includes Rotary Doll Museum. Further, return to the hotel and stay overnight. After breakfast, check out and leave for Sasangir. On the way, you stop at Shri Jalaram Bappa temple for Darshan and Junagarh to visit- Uparkot Fort (built by Chandra Gupt Maurya, dating back to 319 BC) and Mahaprabhuji’s Baithak. Arrive Sasangir by late evening, check in to the HOTEL and stay overnight. Upon breakfast, leave for wildlife Safari in Sasangir National park- covers an area of 1412 km sq and is the only home of Asiatic Lions. In the afternoon, head towards Diu and stopover in Somnath. Somnath has a temple that is the first out of the ten Shiva’s Joyotirlings. Diu is amongst the least populated districts of India and as it is a historical part of Saurashtra region, this makes it a significant place to visit. Later, reach Diu, check in to hotel and stay overnight. 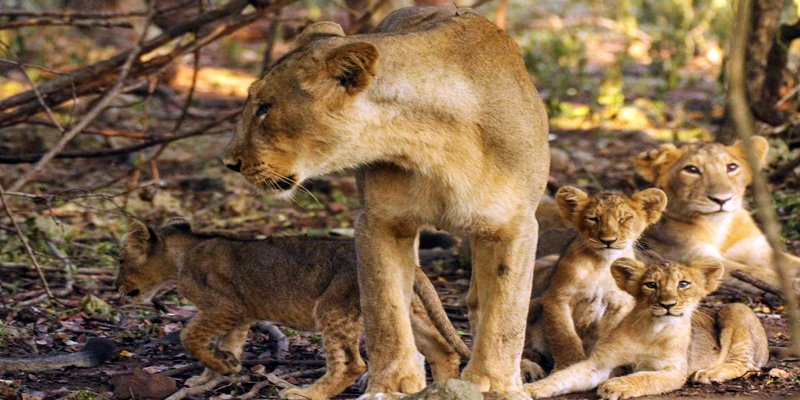 (Sasan Gir National Park is closed from 15 June to 15 October). Today, after breakfast, you are free to explore Diu and its famous beaches like Nagoa Beach. By late evening, you return to the room and stay overnight. You can enjoy alluring view of the sunrise in the beach, return to the HOTEL for breakfast and then leave for Bhavnagar. Upon reaching Bhavnagar, you check in to HOTEL ROOM and stay overnight. After early morning breakfast, drive to Baroda and stopover at Palitana. In Palitana, visit Shatrunjaya Temple for Darshan. Further, head towards Baroda, check in to hotel upon reaching and stay overnight. After breakfast buckle up for city tour, this may include Sayaji Bag, Nazarbaug Palace, Kirti Stambh and/ or Baroda Museum. Later, drive to Champaner- a historical village embellished with ancient forts, minars, mosques and other things. Following Champner is the visit to Chotta Udaipur. By late evening return to Baroda’s HOTEL ROOM and stay overnight.